So does it live up to all the hype and hoopla? And then some. 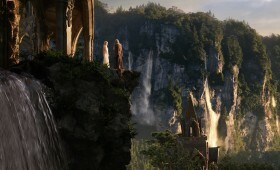 Was it faithful to The Hobbit as set forth by J. R. R. Tolkien? Well…as much as can be cinematically expected. Some characters were missing, like the woodsman/bear guy. 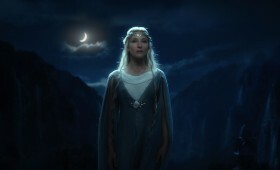 And some from the LOTR trilogy were thrown in for continuity, like Frodo, Galadriel and Saruman. 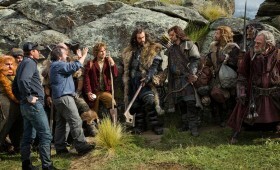 But in the hands of Peter Jackson, the experience was pure Tolkien. For Bilbo Baggins, tucked into his homey Hobbit hole with his pipe and well-stocked larder, the adventure begins when he’s singled out by a wizard called Gandalf to act as a burglar. A burglar? That isn’t well explained in this first installment. The Hobbit is small, quiet, resourceful and, well, unexpected. The dwarves’ quest, which Gandalf is aiding, will at some point need some extreme sneakery. 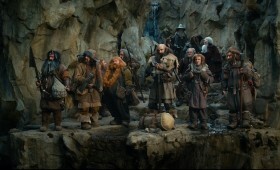 And Bilbo fills the bill. The whole thing is hardly fair to Bilbo, but for some reason Gandalf feels he needs to see a bit more of the world. You know - experience hideous orcs, assorted goblins, wargs, stone giants and the like. Quest stories are always fraught with possibilities: reversals, revelations, cliff-hanging dangers, unexpected encounters, you name it. This tale has it in spades. The special appeal of this one is that the main character, Bilbo the Hobbit, has the fortitude to rise up with sword in hand when he absolutely must. But he remains the genuine, unassuming little homebody that he was before setting out. Which isn’t to say he doesn’t grow from the experience. His first encounter with a wizard puzzles him greatly. The intrusion of the dwarves was distasteful at best. But as he travels with them, his astute little mind wraps around the meaning of the quest and the qualities of his companions. Bonds of respect and friendship form. There’s a lot of warmth in this action-plus movie. As before, it’s set in the breathless panoramic beauty of New Zealand. You want to see this. We all need a little Middle Earth in our souls. Maybe it’s because Mr. Say is such a master of imagery. Maybe it’s because the story is so well paced. And maybe it’s because of the compelling call to faith in the presence of evil. Whatever it is, you won’t know what you’re being pulled into until you’re in too deep to stop. Sam and Crystal brave a stormy evening for a night out, an occasion all too rare in their five years of marriage. Back home with long-time housekeeper/nanny Margarite, 3 1/2 -year-old Christian pauses his play the moment tragedy strikes on a downtown interchange. Although Sam emerges from the pile-up virtually unscathed, Crystal is killed. 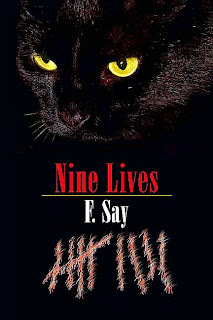 It’s in the aftermath of grief, nightmares and strange voices that ominous signs of the occult begin to creep in. At the suggestion of Margarite, Sam takes the extreme measure of seeking palm readers in New Orleans. There he finds both solace and mystery – and a danger that sends him fleeing for home. Fear lessens as normalcy returns. But it seems the menace has followed him. And there’s more bad news. Frank Say’s website is the only way to get his book, and only the e-versions seem to be available. This is most unfortunate, considering Frank is among the "50 Great Writers You Should be Reading,” a list released and published in 2010 by The Authors Show. When I contacted him, Frank did say he had a limited stash of hardcopies available. You can reach him on the “News” tab of his website, www.franksay.com. 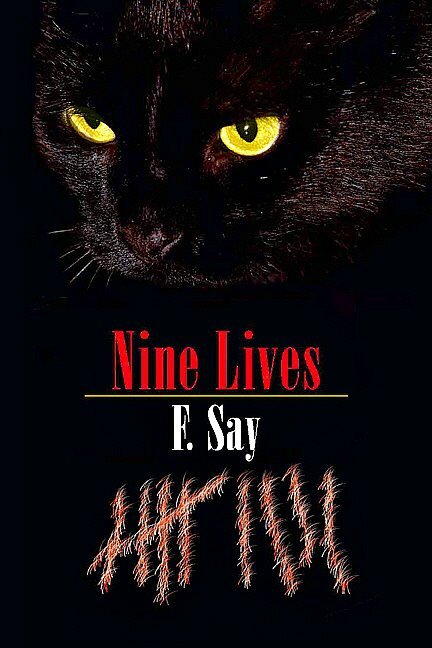 One way or another, I do hope you’re able to secure a copy of Nine Lives. And let’s hope that someday soon, in the hands of a proper publisher who will do it justice, this book will be readily available on the shelf and through Amazon. Meanwhile, play his book trailer. It’s the best I’ve seen in a long time! 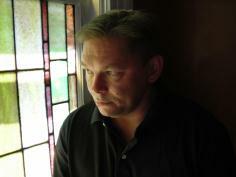 In addition to the series The Lake Pontchartrain Mysteries, Frank is working on a master’s degree in addiction counseling at Capella University. Currently he resides in Pittsburgh, PA with his wife and cat. Who the heck started this mess anyway? Looking up a moment from wrestling gaily printed paper around an odd-shaped toy, I beheld the unbelievable paper carnage littering the dining room table, chairs, floor, and as far as the eye could see. Good grief. Why, back in my day (WWII) you had white tissue paper. That was it – unless you could get all the way to Indianapolis for the red and green stuff. You just drew a sheet from a neat pile, wrapped the gift, and went on to the next. Ribbon was just a spool of narrow ridged stripping you curled on the edge of blunt Sunday School scissors. Now one selects from a minimum of 5 rolls, cuts a piece to fit the package (which adds to a pile of unusable scraps), and then sorts through bags of bows for a proper, color-themed match. 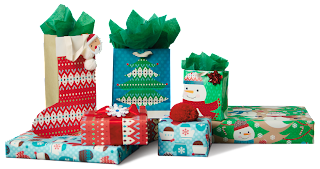 Gift bags would be a blessed option if only they came in suitable sizes and designs – and you didn’t have to mail its contents clear across the country. So…how did it all start? The Cliff Claven answer would be with the invention of paper in China, 105 A.D. But America’s gift wrap industry started with three poor brothers from Nebraska. 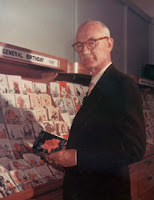 In the early 1900s, Joyce (a man), Rollie and William Hall pooled their money to form The Norfolk Post Card Company, a wholesale business that operated out of an older brother’s book store. By 1911 the three opened a shop in downtown Kansas City selling greeting cards and assorted novelties. 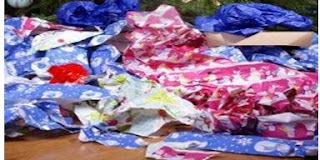 One day before Christmas 1917, the store sold out of tissue paper. To keep from disappointing customers, decorative envelope lining papers from France were brought out and offered for 10¢ a sheet. They sold quickly. They tried it again the next year at 25¢ with the same result. 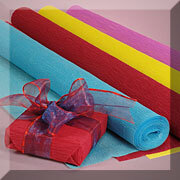 Gift wrap quickly became their leading item, followed by Hall Sheen ribbon in the 1930s. What’s the rest of the story? The man named Joyce happens to be the founder of Hallmark Cards Inc. Did you see that one coming?